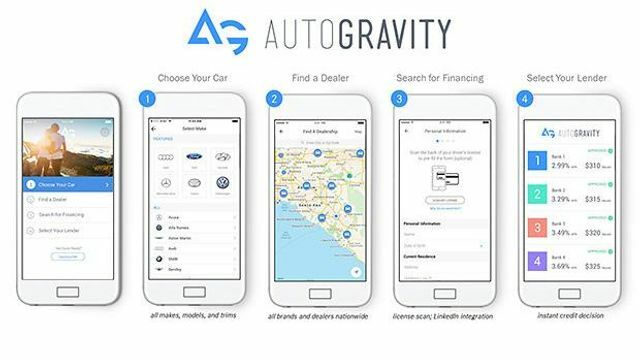 AutoGravity an auto-financing platform based in Irving California has secured an unspecified investment from Daimler Financial Services, that will allow it to expand its platform to 46 states. "In AutoGravity, we see a new star rising in the digital world," said Klaus Entenmann, chairman of the board of management of Daimler Financial Services, in a statement. “Customers are able to find the best financing deal for their vehicle in real time. The comparison app acts as a digital interface between the customer, dealerships and various financial service providers.” AutoGravity piloted its platform in California in mid-2016 with Mercedes-Benz Financial Services. Since then, the app has added additional finance providers and extended its offerings to include leases and used-car financing. The app has also logged 150,000 downloads.